PT Bahana TCW Investment Management - Bahana TCW is a trusted and reliable financial services company in Indonesia. Bahana TCW has core business competencies in asset management services. Headquartered in Jakarta, Bahana TCW running business in the field of investment management portfolio, investment manager and investment advisory. PT Bahana TCW Investment Management is a directly-owned subsidiary company of PT Bahana Pembinaan Usaha Indonesia (Persero) or "Bahana Group". Bahana TCW's shareholders are Bahana Group and US Trust Company of the West (TCW). Bahana Group, which owns 60% of Bahana TCW's issued share capital, is a reputable state-owned financial services company in Indonesia which is fully-owned by the Government of Indonesia. 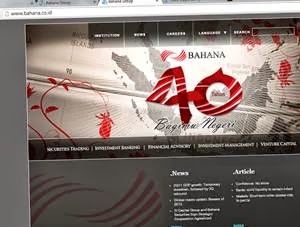 TCW owns 40% of Bahana TCW's issued share capital and is a Los Angeles-based reputable investment management company. According to information found in Bahana Group's website as cited by JobsCDC.com, PT Bahana TCW Investment Management is recognized as one of the largest investment manager companies in Indonesia. Bahana TCW is the second largest in Indonesia Mutual Fund industry. As at June 2016, Bahana TCW controls asset under management worth of Rp 34.3 trillion. S1 degree with background in Finance / Accounting / Economics / Management or equivalent education background. Minimum 3 years of work experience in the field of Risk Management, especially Investment Management is a must. Have a good understanding in all OJK regulations regarding Investment Management. Have a good understanding of investment products managed by the Investment Manager. Familiar to interact with OJK (especially the Investment Management Directorate). Have a firm attitude towards regulatory compliance, and can communicate effectively and straightforwardly with work partners..
Have a good knowledge of the Capital Market and the economy. Preferably have work experience at SPI / Internal Audit. JobsCDC.com now available on android device. Download now on Google Play here. Please be aware of recruitment fraud. The entire stage of this selection process is free of charge. PT Bahana TCW Investment Management - Risk Management and Compliance Bahana Group March 2019 will never ask for fees or upfront payments for any purposes during the recruitment process such as transportation and accommodation.